Do you ever feel like you have a big letter on your forehead? Like everyone thinks they know more about you than you do? Like, now that you have a label, no one has anything to hear from you? Well I’m feeling a bit of that lately. It began with a conversation we had in my Sr. Seminar class. It began with a simple discussion and before I knew it I was forced to defend myself and my perspective (something I’m not too comfortable doing) against what was what you might call a more “conservative” perspective. 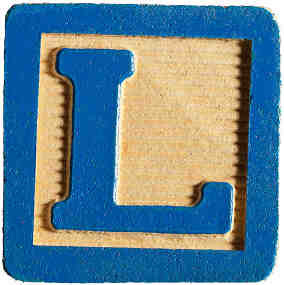 As the conversation went on and my perspective was at least close to being mocked I felt myself, in the minds of my classmates and my professor, slowly falling into a box with a big “L” on it. I no longer felt like I was being heard, I was being categorized, and so therefore I was being ignored. It’s easy to slap labels on what people are saying—“conservative,” “liberal,” “social-gospel,” “fire and brimstone,” “emergent,” “irrelevant,” “old,” “fad,” “postmodern,” “modern.” It’s much less threatening for us to just set someone’s perspective away from our own and put in some other box, a box which cannot corrupt our own respective boxes. I don’t speak for you but I am guilty of this. I wouldn’t describe myself as what I fear others have labeled me as. In my classroom conversation, what I saw as an attempt of being faithful to the text, others saw as liberalism or over-analysis. We need to practice and master the art of listening. Listening is dangerous because we have to open ourselves to the possibility of eventually becoming what we once saw as threatening, what we once placed in a box apart from ourselves. We have to hear people’s hearts and not just the category we’ve placed them in. Maybe when we start listening we might end up getting heard, in many ways, for the first time… at least once.